Tomorrow is my birthday, and oh, I dunno, about two or three years ago, I decided I’d plan a backpacking trip to celebrate this one. Or, in more honest terms, use my birthday as an excuse to plan an epic backpacking trip. There’s no significance to it this year, I’m turning 38. Who cares. But the past two years wouldn’t have worked out for one reason or another, so this was just the next one in line. So Adam and I tentatively set aside a couple of weeks around my birthday in 2017 so I could plan something. I decided on a trail that’s been on my list for a while. Well, again, to be honest, I think every (and any) trail is on my list, but this one just happens to be pretty high up there. It’s the Wonderland Trail. The Wonderland Trail is in Mt. 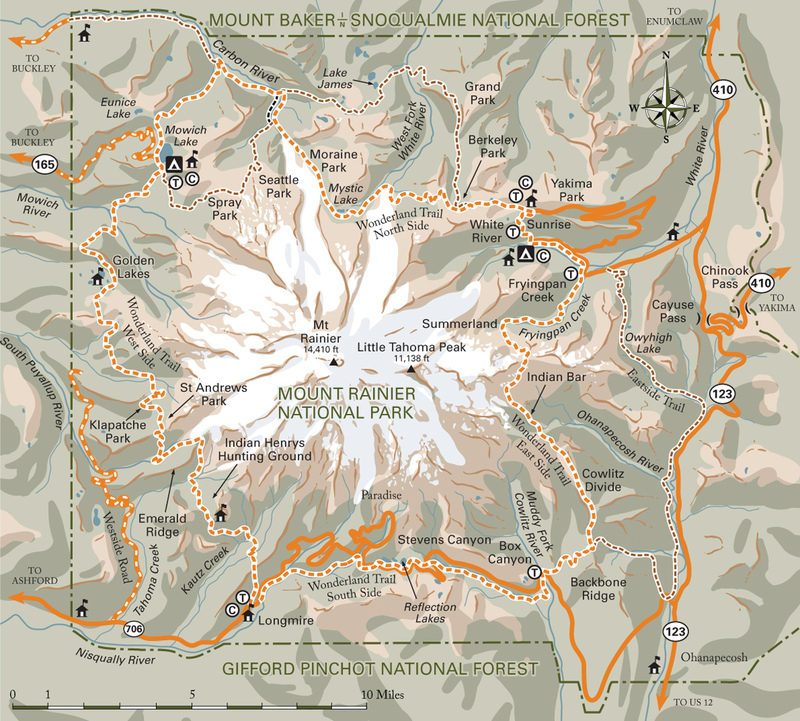 Ranier National Park in Washington State and circumnavigates Mt. Rainier (14,410 ft). So to be clear, I won’t be climbing or summiting the mountain (or technically, volcano), but I’ll be hiking 93 miles around the base of it. I’ve seen photos and they’re unbelievably gorgeous, and the elevation gain is impressive – cumulatively hitting 22,000 feet gain and loss. 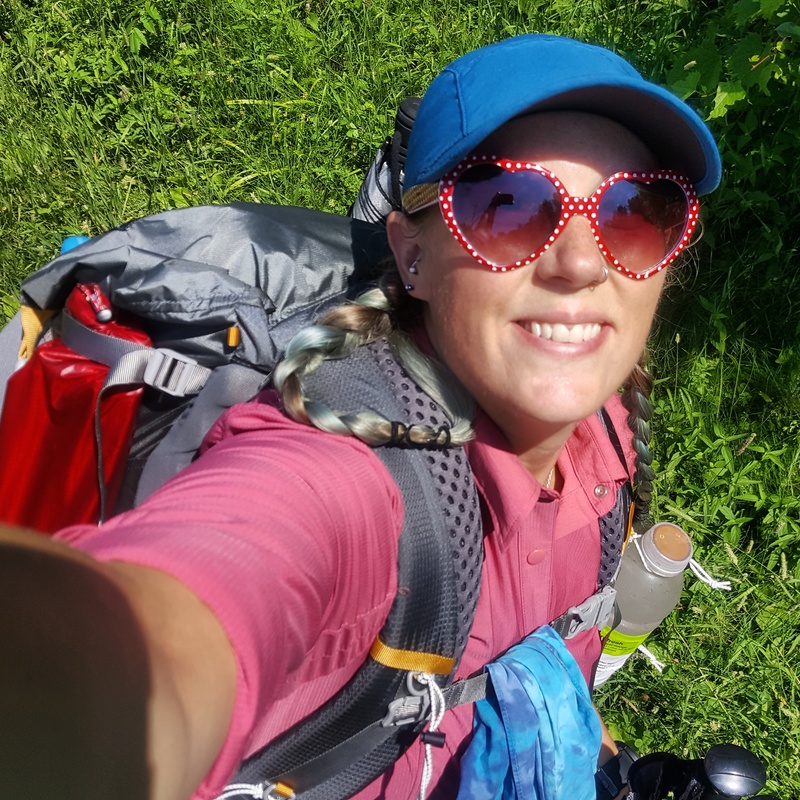 Sounds tough and pretty, it’s a thru-hike that’s only 93 miles and I can do it within a reasonable amount of vacation time. Perfect! Tough and pretty is my favorite combo! I plan to hike it in 9 days. I think I could do it in less, but I’ve made a couple of goals for this hike, and stretching it out to nine days just made sense. Goal #1: Backpack it solo. I was originally going to drag my mom and dad along with me, but there is actually a family reunion of sorts happening in California that they are going to instead (which I sadly had to decide against – I’ve had this trip on the calendar for a long time, and it’s an opportunity I couldn’t stomach to pass up.) So solo it is. I’ve been wanting to do more solo trips to test myself, anyway. We’ll see how this goes. I honestly think I enjoy hiking with friends more. I worry I’ll get lonely, or freaked out in my tent at night. But, this is why I’m doing it. To challenge myself. Goal #2: Take my time. Instead of planning to hike the whole thing in 5 or 6 days, which I’m sure I could do if I wanted to, I decided to stretch it out to nine and try to take my time. You know, take the climbs nice and easy, stop in meadows and sit while I eat a snack, soak my feet in streams, take tons of photos (obviously), play with marmots… Things like that. 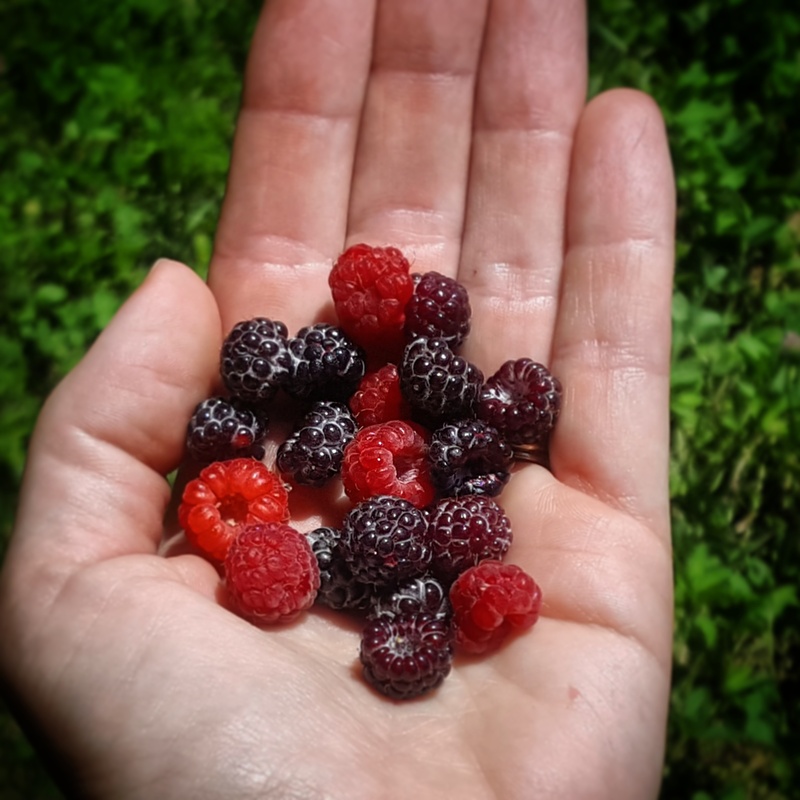 I will also stop to pick fresh berries if I find any. Of course! Goal #3: Eat keto. This was kind of a newer addition as I’ve adapted the ketogenic way of eating a couple of months ago. I’ve gotten my body to make abundant ketones pretty easily and using fat and these ketones for fuel instead of sugar. So my hope is that I’ll have longer sustained energy instead of the short rushes I used to get from eating a Hostess fruit pie, then crash and need more processed sugar/junk to keep going (and also suffer from GI issues). I also think I’ll be able to carry less because the foods I now eat are so much more calorie/nutrient dense than the old junk I used to bring along. But I’ll probably bring way too much food anyway, because that’s what I do best! 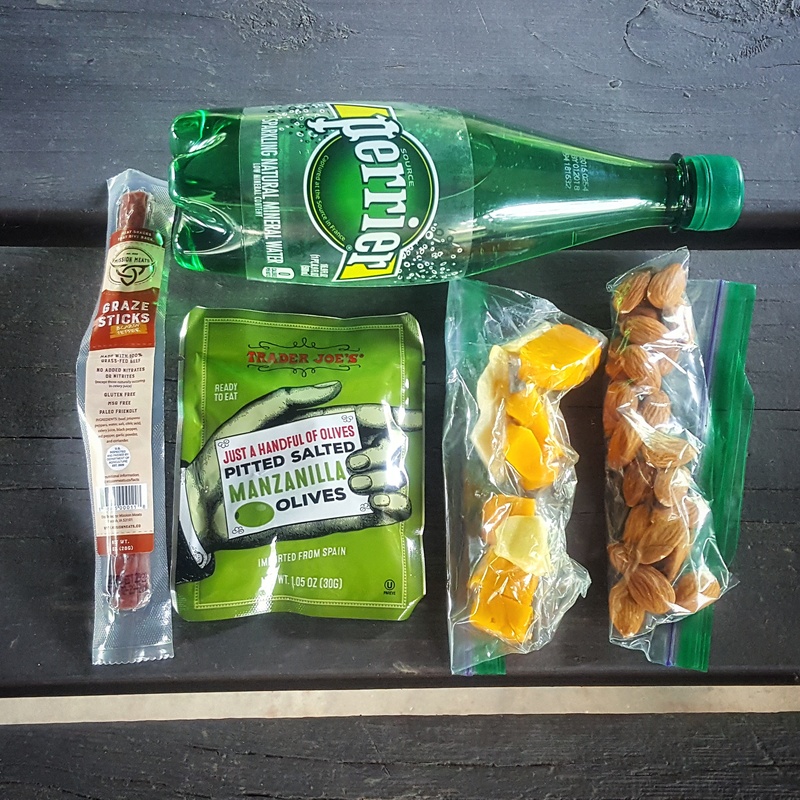 Just a few keto-friendly snacks I’ll be bringing along. It’s all such yummy food! So my plan to hike the Wonderland Trail is still tentative, though. 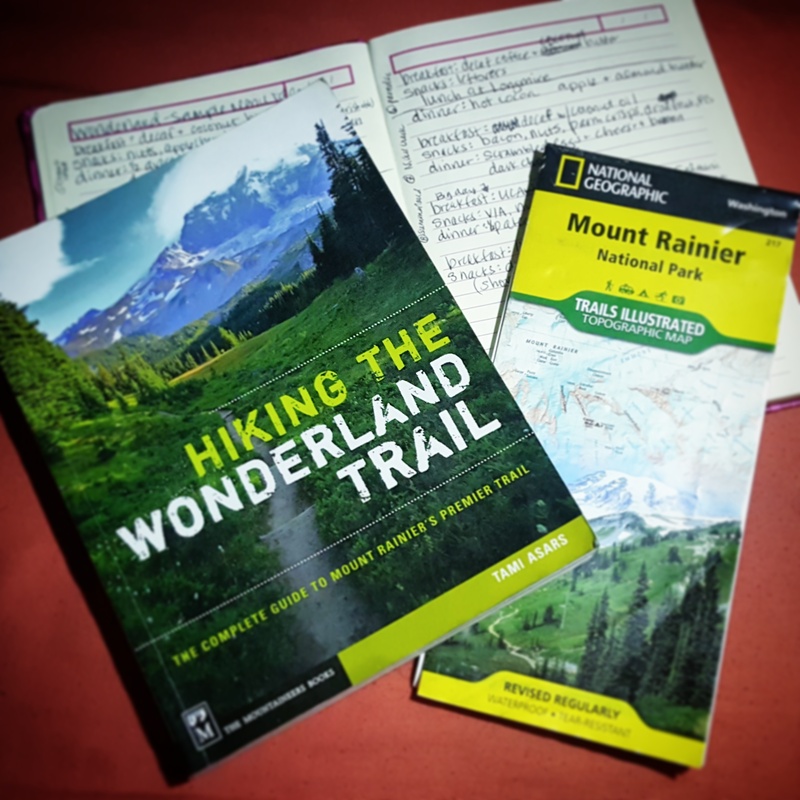 In March I worked really hard studying maps, pouring over pre-set suggested itineraries and mileage charts and eventually came up with a custom itinerary that I was really happy with. I even went as far to plan out my resupplies (there will be two) and what I’d include in each box. I chose to start in a not-so-popular starting spot (it’s one big loop, so you can really start at any point on the loop), I chose to hike counter-clockwise, which is apparently more difficult, therefore less popular, and I chose to start on a weekday instead of a weekend. I figured this would help my chances at getting a permit. The permit process seems pretty fair, considering they receive thousands of requests each year. In fact, this year they received a record whopping 5,900 permit requests! 2,500 of those (including my one little, itty, bitty request) were for the full 93-mile thru-hiker. And how many can they usually accommodate? 450. So it’s not a huge surprise I was denied my request for a permit this year. The way they do it is allow you to submit a request between March 15 and April 1 – any time in that window, then they are chosen at random once that window closes. So you don’t have to rush to the computer first thing on the morning of March 15 to try to be the first in line. So that was nice. I still got mine in pretty early, as it was ready to roll, but I just wasn’t one of the lucky ones. Bummer. Thankfully there’s still hope. They save 30% of their yearly permits for walk-ups. This means I can show up at a ranger station a day or two before I’d like to start my trip and work with a ranger to come up with an itinerary that’ll satisfy me. So I’m going to give it a shot. I’ve got the time off already, it’s a trail I’ve wanted to do forever, I’ve planned it all out already, so I might at well just head there and see if I can get on the trail. I’m going to try to be flexible, but if I can’t work out something I’m happy with, I’m not going to settle, either. I’ll save it for another time and explore Glacier National Park instead – or something. But I have pretty high hopes something will work out. In the end, whatever happens, it’s going to be fun. Also! As much as I’m looking forward to taking a solo backpacking adventure, one of the big parts of this vacation is the trip out there and back. Adam and I decided to take our Subaru (PJ2) on the trip, too. So we’ll be driving there and back, and I am looking forward to the road trip with Adam just as much as the hiking. We love road tripping. So, so much. Even though we drive for a living, jumping into our own vehicle, being on our own time line, not having to pull into weigh stations, clock every move into an electronic log and worry about truck routes is going to be such a nice break! We’re going to feel so free. Stop where and when we want. 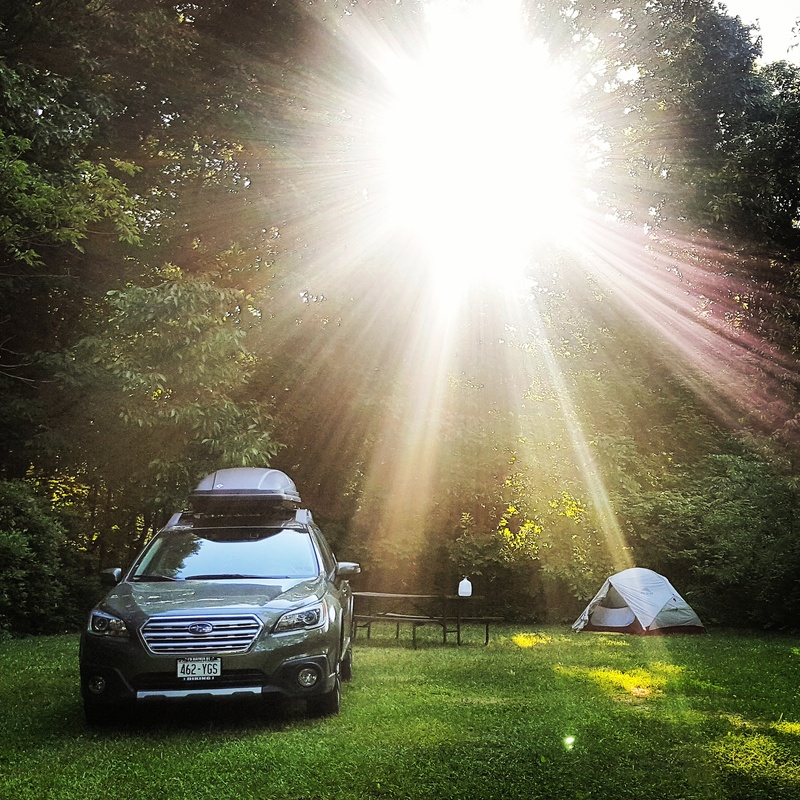 We plan to camp, explore, eat, relax, and enjoy some scenery from a little lower perspective. Get ready, PJ2! You get to see some mountains! So, hey! I’m going on a backpacking trip! I’m trying to be all giddy and super excited, but it’s a little dampened by the fact that it’s not set in stone because I don’t yet have a permit, and because I’m going solo, so I don’t have a fellow backpacking buddy to bounce the giddiness back and forth with. That’s one of the downfalls of a solo trip, but I’m pretty determined to try this out. Yeah, it’s definitely still really exciting, but just a little more mellow of an excitement. And… *sigh*… It’s not like a 2,000-mile-plus trail or anything. My favorite, of course. But some day. Some day again, I will hike a really long trail. Or several, hopefully. But for now, I’m going to be happy with what I can do with my current circumstances. And hey. This ain’t half bad, ya know!? As for this here bloggity-blog, I plan to write each day like I have on previous long hikes I’ve done (American Discovery Trail 2006, Tahoe Rim Trail 2009, Pacific Crest Trail 2013, Knobstone Trail 2015), but I probably won’t be posting them until I’m done with the trip. Unless I miraculously have some internet coverage out there (which I doubt I will, and honestly might not care to check). I also just bought an almost 1-pound battery charger for my phone since I use it for journaling/writing and as a camera, so hopefully I at least have enough battery juice to get me through the nine days without needing an outlet. Hopefully I’ll be able to post my gear list and food choices for the trip before I head out, but I can’t make any promises, as I’ve found out how much less time I have lately as a trucker to blog. I knew I’d have limited time with this line of work, but it’s even less than I’d imagined, so it can be really tough to keep this baby updated. I have so much I’d like to write, it’s just really hard to find the time (every single time I post a blog, I guarantee you it’s cutting into my sleeping hours.) So I’ll try. I really, really want to. I want to share those things! Whether it’s to help you folks that read this stuff and want to go on a similar adventure, hopefully learn a couple of things (maybe I’ll talk more about peeing standing up! I can do it now! 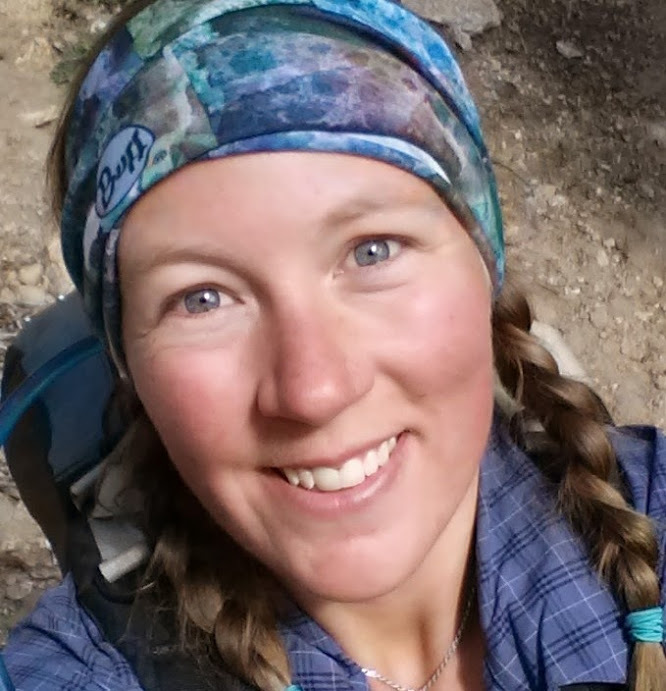 ), or maybe you’d like to try keto backpacking, or see if I totally bonk from it – or if it’s just for me simply to organize and basically make another checklist of things I don’t want to forget! Haha! So, keep an eye out for future posts. I plan to post lots of photos with my blog entries of the hike, as I usually do, and WordPress doesn’t seem to make that super easy, so that’ll take some time. But that record of my trip is not something I’m willing to let go of. As I’ve mentioned in the past, a lot of the reason I write this blog is for my own memory bank, because my physical brain memory bank is not so good. So these blog entries can bring me back and help me remember. So you can count on those! In the meantime, keep your fingers crossed for me that I can get a decent walk-up permit/itinerary! And maybe that I can still climb and hike in elevation and not die. It’s been a while! I plan to hike some of the trail in these bad boys, as well as use them for camp shoes. My other hiking shoe get-up. Map of the Wonderland Trail. I’m a girl, and I love shoes. Okay? I said it. I wish I had room for like eight pairs so I could choose which ones I wanted to run in that day. Okay, admittedly, my shoe love is for running/hiking shoes. I couldn’t care less for heels, strappy numbers, and any of the other uncomfortable, too-narrow, restricting, blister-inducing, girly fancy shoes out there. Although, I do admire how they might look on other people – and I have a load of respect and maybe a little hidden jealousy for those of you with the fashion sense to pull them off. Seriously, I’ve tried, and it’s something I’m *totally* comfortable with giving up on. First, a little disclaimer – this is my experience with trying to find a shoe (or ten). And I realize now that I maybe have weirdly-shaped feet. So please don’t write off any of these brands/styles listed below just because they didn’t work for me. They were all great quality, amazing shoes. I would recommend any of them to my closest friends. You just gotta try them and find one that fits your foot. 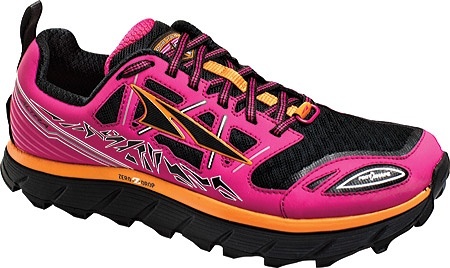 I am especially partial to the Altra Lone Peak (as you’ll see), so if they fit you? Let’s just say I’m jealous, but genuinely happy for you. Because they rock. This is the Lone Peak 2.5s in the snow, which was great – and I loved this color! So anyway, they were the perfect shoe. 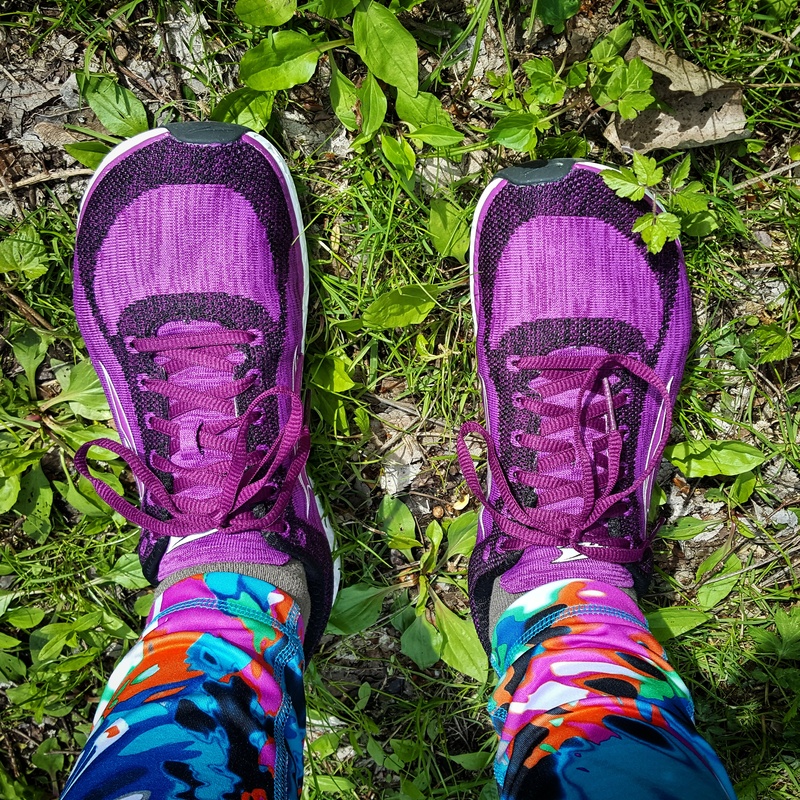 I wore them hiking, backpacking, trail running, and even road running – they’re technically a trail shoe, but they worked for everything – which is one of the reason I loved them SO much. Having one pair of shoes works great for me, too. I live out of a semi truck, so the space to store a thousand pairs of shoes doesn’t exist. The less stuff I have the better. My 2nd pair of Lone Peak 2.5s. Wasn’t crazy about the grey, though. But also didn’t care. So perfect comfy-wise. I wanted something bright. 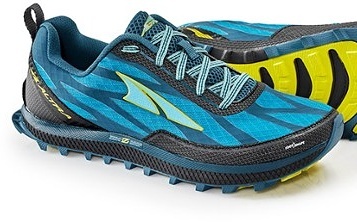 I immediately and excitedly ordered the new version of Altra’s Lone Peak – the 3.0. I got them in the most obnoxiously bright color they came in – bright pink with orange and black accents. They looked so cool. I got two sizes right away because several, and I mean a LOT, of reviews said they ran a little narrower than the 2.5s. For some reason, I ignored the little red flag waving frantically in my mind when I read these reviews. I think I was just so excited for a new pair of shoes and seriously thought, “Nah. They’ll fit me.” Anyway, I got two sizes so I could try them both and return the one that didn’t fit the best. 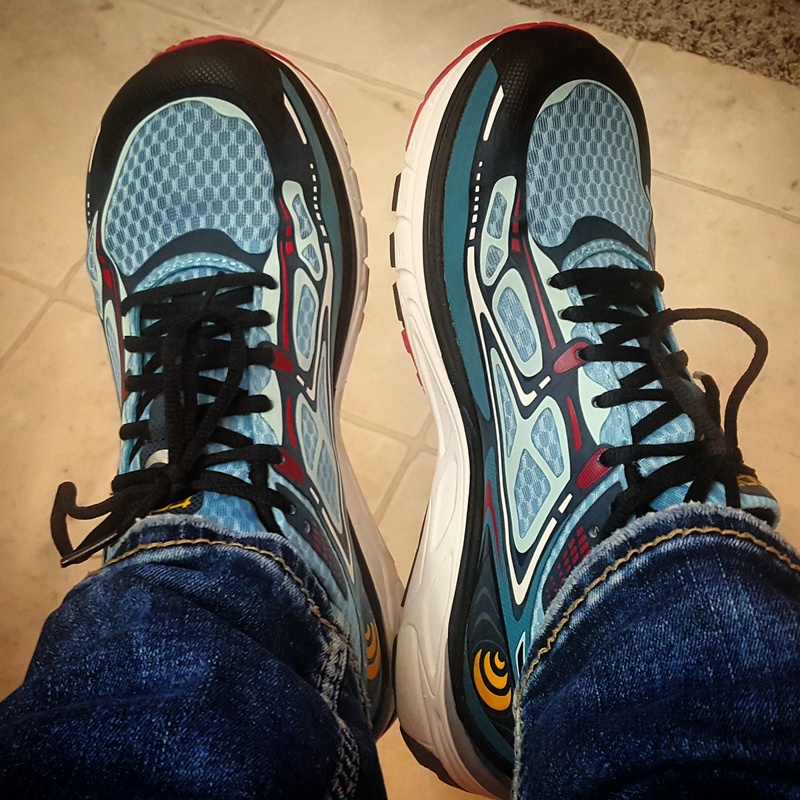 I tried them on, went, “aaah, new shoes all cushiony and lovely,” and returned the larger size, keeping the the original size I’ve always worn. Yeah, they felt a little tighter in the toe than my last pair, but they looked so cool. And they were my trusty Lone Peaks. A couple days later I went for about a two-mile walk with Adam and thought I’d wear them just to get a feel for them. About 10 minutes into the walk my toes were numb. I can’t even tell you how sad I was. I knew right then I was going to have to return them. This wasn’t going to work. So I did return them, and now I was running in my work shoe – which was a clearance shoe from REI. It’s a brand I’ve gotten before on clearance, for work. 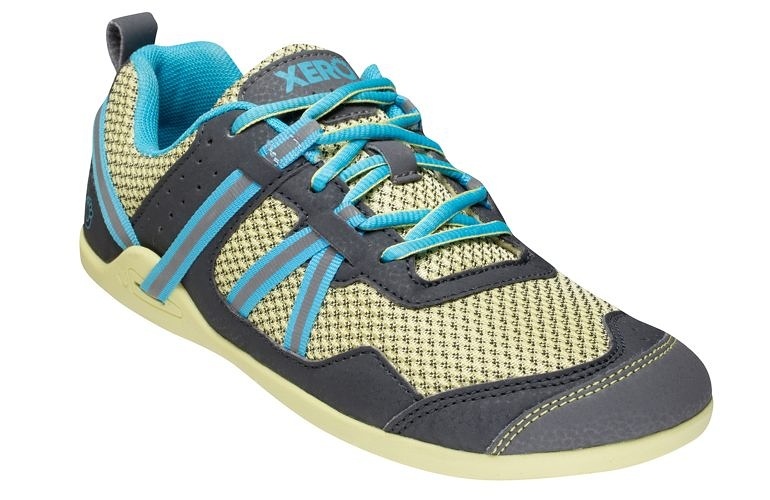 They also have a pretty wide toe box – Topo shoes. These have a 3mm drop, so they weren’t ideal, and if I knew I’d be running and especially hiking in them, I’d have at least ordered a half or full size up. But I was stuck with these for now. They were okay. I was mostly road running at the time anyway. And besides… It wouldn’t take long to find the right shoe… Right? Huh! I ordered and returned so many shoes. At one time I think I had six shoeboxes in our car as I tried them out, ruled them out, and eventually returned them. I became a regular at the UPS store. It was kind of rediculous, was taking up a lot of precious space (and time), and driving me completely mad. I honestly don’t think I like shoes as much after this experience, which I’ll talk about in a minute. 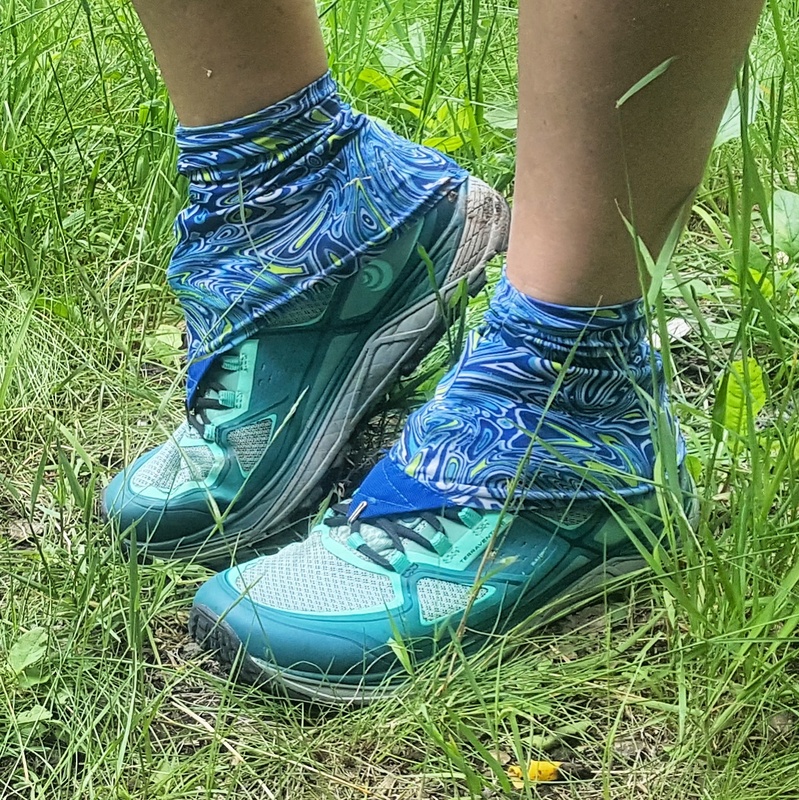 I tried the Altra Superior in two sizes, and a really pretty blue that I loved – they creased funny in the front and pressed in on the tops of my toes. Back they went. 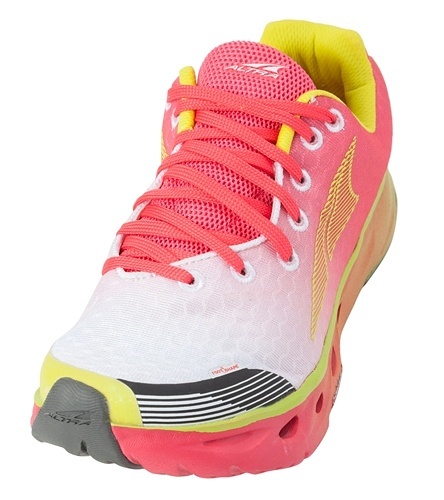 Then came the Altra Impulse. These were a road-specific shoe, as I realized I had to sadly give up on finding an all-in-one shoe. I was also trying SO hard to stay loyal to the brand I fell so damn hard for. But honestly, I was happy these didn’t fit me. 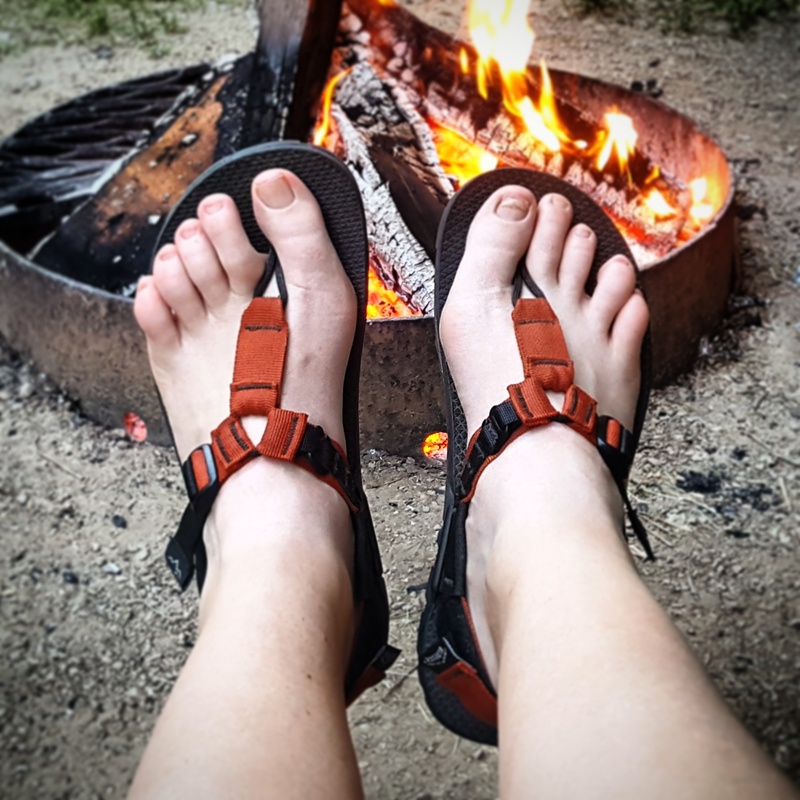 They looked awesome online, but when I put them on my feet, I think they were the ugliest shoe I’ve ever tried on – but trust me – had they fit like my Lone Peak 2.5s I wouldn’t have had a second thought – I’d have hugged them and squeezed them and called them George. And I’d have run in them until they, too, blew out. Next was the Altra Escalante. Again in two sizes. At first I thought they were so ugly, but they were a nice, obnoxious pinkish-purple color, which I sorta dug. But the texture – it kind of looked like a winter sweater – I know – weird. And I think it’s sweater-like texture got to me, because they felt really warm on my feet, too – but I’m sure it was just my imagination. This one was actually pretty comfortable and the ugliness of them was really growing on me. So far, not perfect, but the closest I could get. I still needed a shoe for trails, though. Altra Escalante – the sweater shoe! These ones grew on me. 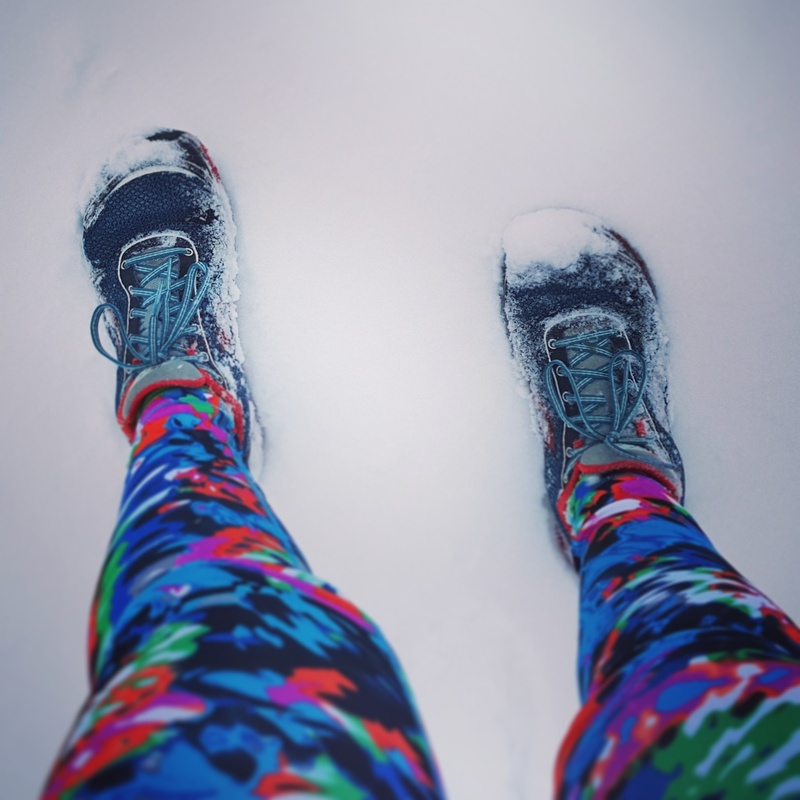 Topo Terraventure – seen here during a hike with my dirty girl gaiters. 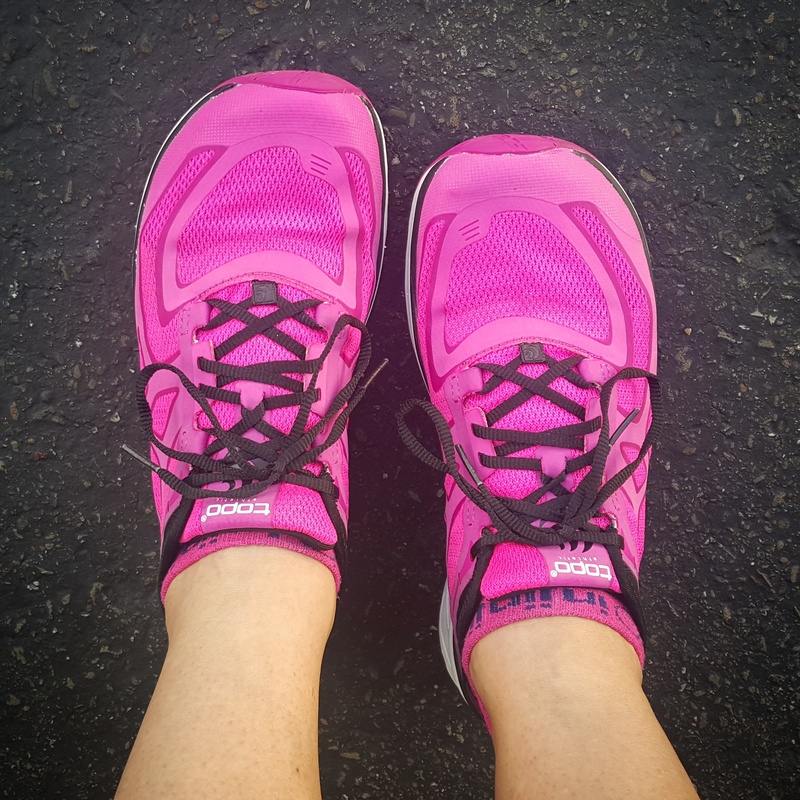 Topo ST-2 – my final choice for my running shoe. And I’m pretty proud of my custom lace-job to keep the tongue from sliding to the side. And… They’re SO bright! I thought my struggle was over, or so I thought. I still needed, er, wanted, a summer sandal. I was set on Chocos because I have a friend that thru-hiked the PCT in Chocos (and had to use super glue on foot cracks, which is a whole badass story in itself, but I digress). Chocos also looked cool and sporty, and I could take a short hike in them if I wanted. I went to REI and bought a pair. I wasn’t totally crazy about the color, and they fit a little weird, especially around my stupid big toe bone-bunion thingie. But the salesperson kept telling me how awesome the straps can move around for a custom fit, and it takes some practice to get the hang of it. I put them on again that night, messed around with the straps and just didn’t like them. I returned them the next day and ordered a different pair online with thicker straps and a color I really loved. Choco sandals – I still love the look of these, a lot. But they just didn’t work on my weird feet. I went online, did some research, read a lot of reviews, compared, went back and forth, and finally decided to take a chance on a little company out of California called Bedrock. I ordered the Cairn style – in orange – and when I first put them on I was in love. Remember when I said I might be sick of shoes after that whole shoe-finding experience? Well, I might just go straight-up sandal as an all-purpose shoe. They are so minimalist. Thin, tough Vibram sole. Three points of adjustment for fit. And they’re a thong-style so my toes can splay all day, and that weird toe bone? It’s free! I wore them for a week of camping, and didn’t want to take them off. 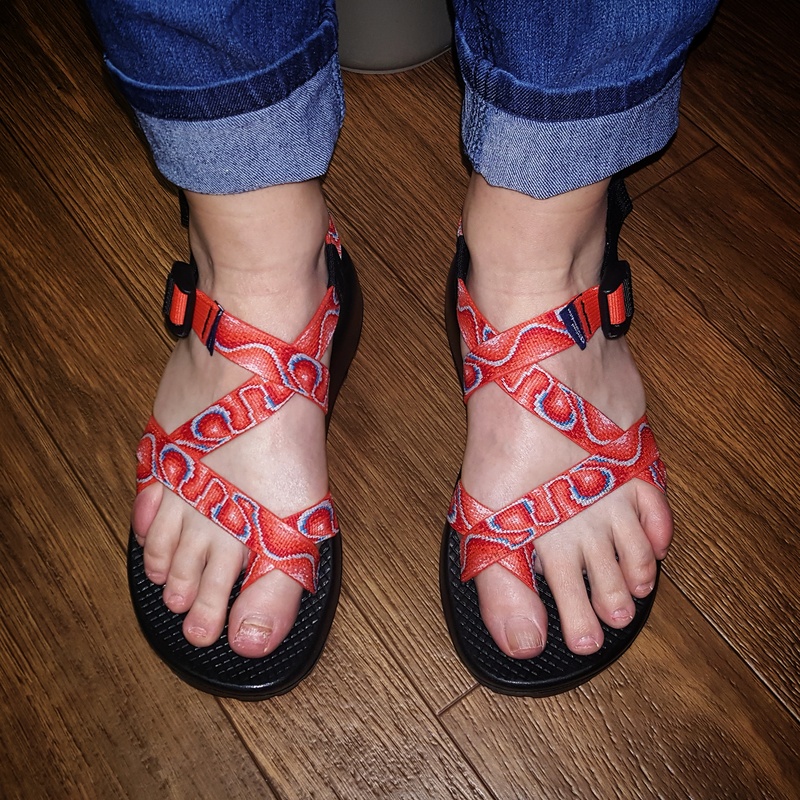 I even wore them with my trusty Injinji toe socks in the evenings when it got cool out (yes, I wear socks with sandals – judge if you want – I’m about comfort, man). Oh, and I loved the way they looked, too. Bonus. Bedrock Cairn – winner winner chicken dinner! I ran 3 miles on a paved trail with them. 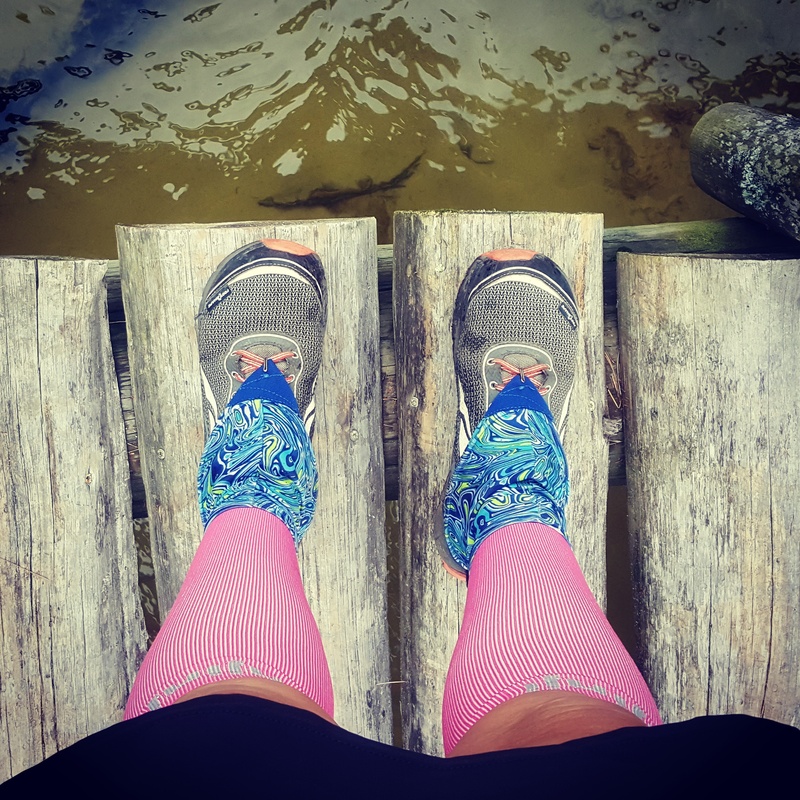 I was a little nervous about using them for running and hiking, but I couldn’t help myself – I had to experiment! It was fine! I didn’t trip or anything. In fact, they felt great! I’d have to gradually keep adding miles to get my feet used to running longer distances in them, but this test was so promising. 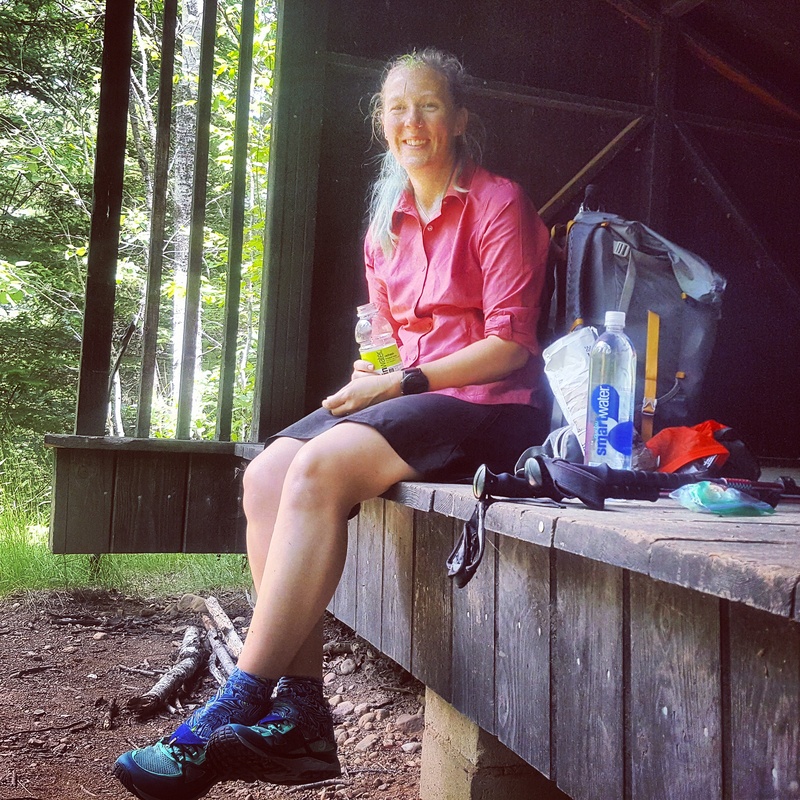 Then I went crazy and did an 11-mile training hike with my pack for my upcoming Wonderland Trail trip – in the Bedrock sandals. It was pushing it, for sure. But they performed great! I did get a little foot fatigue and a hot spot on my heel at about 8 miles in, but seriously? My first time ever, hiking in sandals, and I barely noticed them until mile 8!? So much potential! (Hmm, can I please find a way to wear these in the winter?) Oh, and during that hike, I didn’t stub my toe at all! That was definitely a concern. However, I did scrape my toes with sticks a few times, which I figure is something I’ll have to get used to if I decide to transition to sandal hiking and trail running. One of my other big worries was the toe thong strap. I’ve always had a little trouble with these on flip-flops that I’ve gotten in the past, as in they hurt my big toe crotch pretty hard. But however Bedrock designed these suckers, they did it perfect. So comfy. I barely noticed it! Win! I might actually order another pair of these. I love them that much! (And they were about $40 cheaper than the Chocos.) Just get a pair. You’ll see. 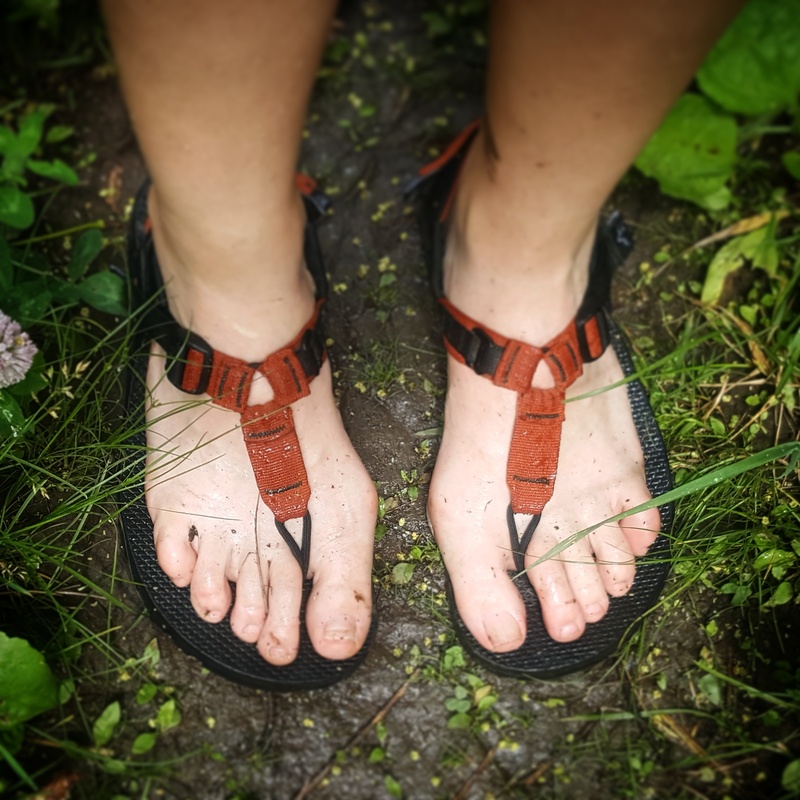 Bedrock Cairn – I’M IN LOVE WITH THESE SANDALS! Want more! I’m happy with these selections, but if Altra ever goes back to that same toe box as the Lone Peak 2.5s… Well… I’ll definitely try them out! Tonight I love my Bedrock sandals. I wish I could wear them for work, though! Not quite a trucker’s shoe. Darnit.